A breakthrough in performance and reliability for trucks of all size. Carrier Transicold’s Supra line of diesel-powered truck refrigeration units is designed to meet the needs of all work trucks – from small-sized vehicles transporting perishable items across town to the industry’s largest trucks requiring high-powered performance. 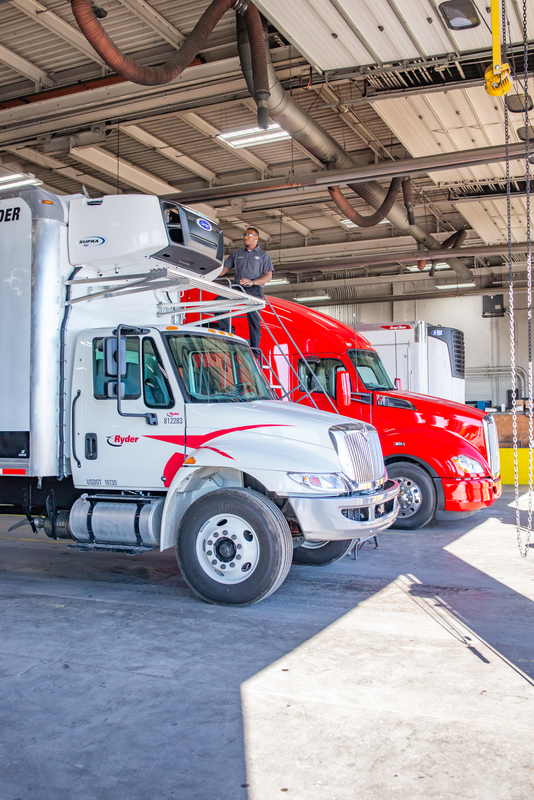 Crosspoint Power & Refrigeration locations sell, install and service the entire Carrier Transicold Supra line of diesel-powered truck refrigeration units. They also maintain a large parts inventory and can quickly turn around orders for any part that isn’t immediately available. Click below for more information on each Supra product. Supra 560 is specifically designed for the safe, reliable transport of perishable and frozen food. Extended service intervals for maximum asset utilization. Low-noise operation so that you can operate at all hours. Supra 560 – Click here for more information and specifications. Supra 660 has proven its reliability and performance over years of tough field duty in medium-sized trucks. It offers faster pulldown, quicker recovery and enhanced product protection even with frequent door openings. Low engine and compressor RPM operation for fuel economy and low maintenance cost. Virtually automatic operation that is incredibly easy to use. Supra 660 – Click here for more information and specifications. Supra 760 offers proven reliability for medium-sized trucks, with millions of operating hours under the most demanding conditions. The industry standard for reliability ensures lower overall cost of operation. The sleek, space-saving skin design is lightweight, low-noise, and damage-resistant. Supra 760 – Click here for more information and specifications. Extended service intervals for maximum asset utlization. Combines all the latest technological developments to offer maximum reliability, performance, and flexibility. Supra 860 – Click here for more information and specifications. Supra 960 delivers industry-high reliability, capacity and airflow to ensure maximum protection and the highest cargo quality for the largest trucks. Powerful optional electric standby motor offers superior performance and longer operating life. Supra 960 – Click here for more information and specifications. Supra 950MT is the ideal solution for multi-temperature vehicles which demand high capacity, high airflow and fast recovery after frequent deliveries. SlimLine evaporators offer the most optimized loading configurations and minimize the risk of damage. Superior cooling capacity and airflow offers faster temperature recoveries when delivery routes require frequent door openings. Carrier Transicold’s exclusive electric heat design produces instant heat and faster defrosts. Supra 950MT – Click here for more information and specifications. Interested in Carrier Transicold’s Supra Line?